A rare opportunity...tucked away in a private cove behind Billy Goat Island lies this pristine 3.08 acres lot , flat and grassy with 370 feet of lake frontage and a spectacular view of Charlie Mountain from the boathouse. The undeveloped pristine beauty has much to offer to the family that has a dream – a custom house built just the way you want it. Avoid the traffic of the main channel in the protected swim cove. 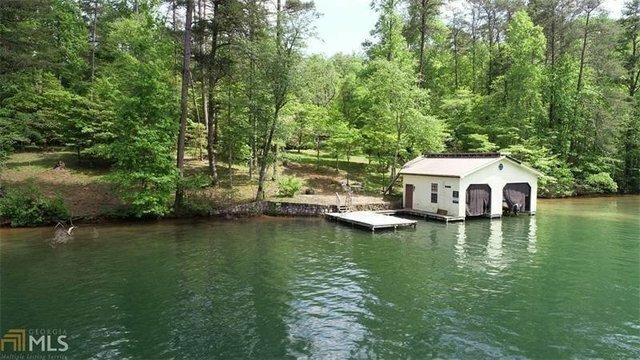 Easy access from Atlanta, south end of Lake Burton.